We have introduced several cool features in Shopify App helping merchants to easily review the fraud result. In this new release, we have embedded the fraud result display directly into the Shopify framework. In other words, you do not need to externally log into our FraudLabs Pro merchant area for fraud validation result viewing. We believe this is one of the major improvement to the existing App, and we hope you will love it. Not only viewing the fraud validation result, you may also approve or reject an order transaction directly on this new integrated page. We are going to show you some step through and screen-shot of this new integrated page as below. Note: If you have previously installed our App, before 2016-02-01, you will need to uninstall and re-install the App again to unlock this new feature. How to review the fraud order transaction? From the order page, click on the … dropdown menu. After that, click on the Review Order in FraudLabs Pro sub-menu. The fraud validation result will be displayed. 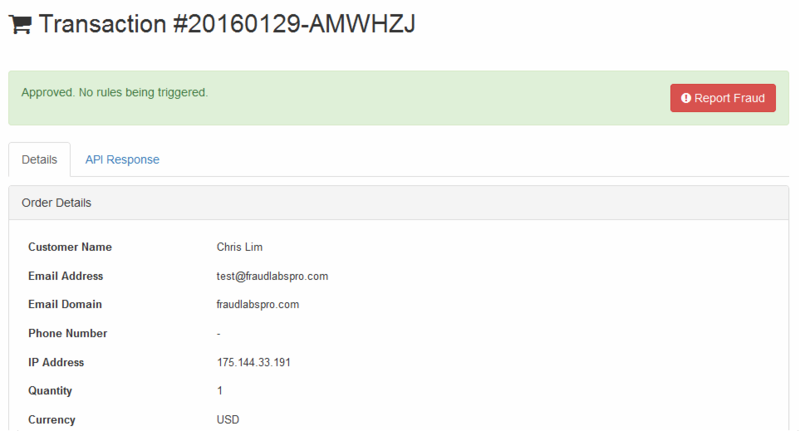 The display is similar to the transaction details page on FraudLabs Pro merchant area. You can now review the fraud validation result and the status on Shopify platform. If the order was in Review status, you can click on the Approve or Reject on the same page. Alternatively, you may also view the summary of all transaction recorded by FraudLabs Pro by clicking on the FraudLabs Pro Fraud Prevention link. 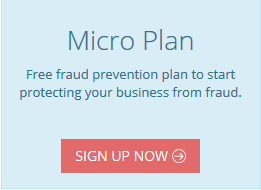 We make the fraud detection easy to install and use, and therefore we have no reason not to simplify your navigation experiences. Follow us at our Facebook, Twitter or Google+ for any new improvements in future. The improvement process is not going to stop here. Last but not least, please visit Merchant area page for complete features and rules management.